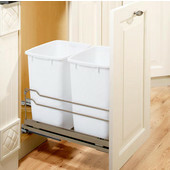 There's something classy about hidden Trash Cans in any kitchen. 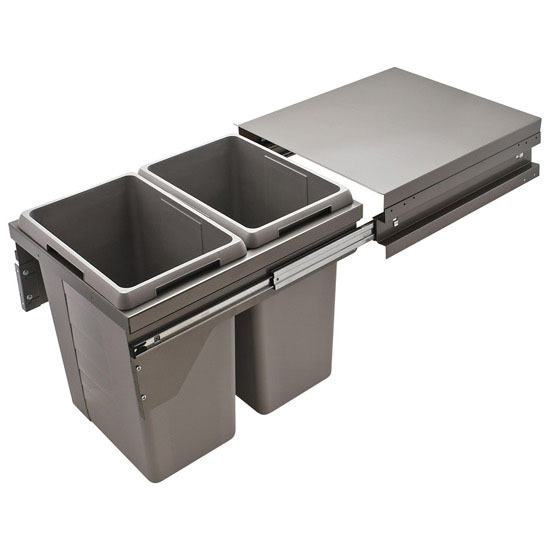 With the Pull-Out Double Garbage Cans by Hafele you can easily achieve this for your kitchen trash cans and recycling cans. 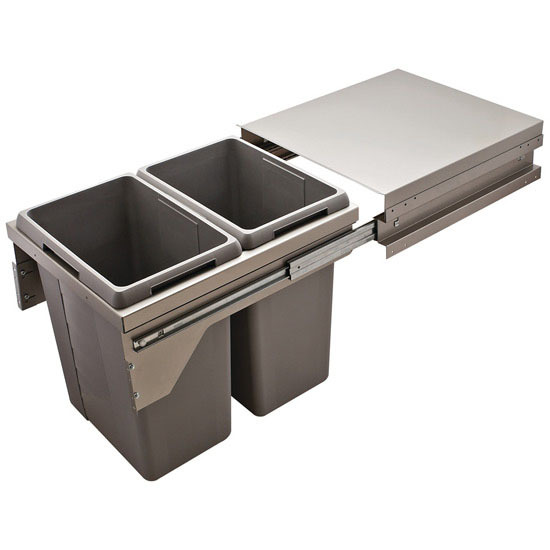 The US Cargo 21 holds two (2) 11.1 gallon Trash Cans and features manual full extension with Accuride overtravel slides and an easy to install clip-on frame. 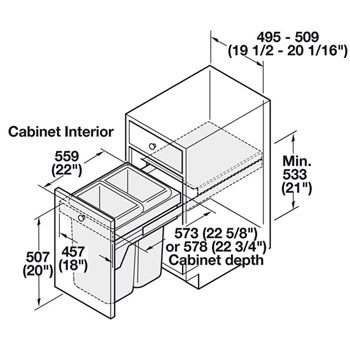 The sturdy metal lid remains concealed inside the cabinet when your trash cans are pulled out and seals in odors. The unit is made of powder coated steel with light gray plastic trash cans. 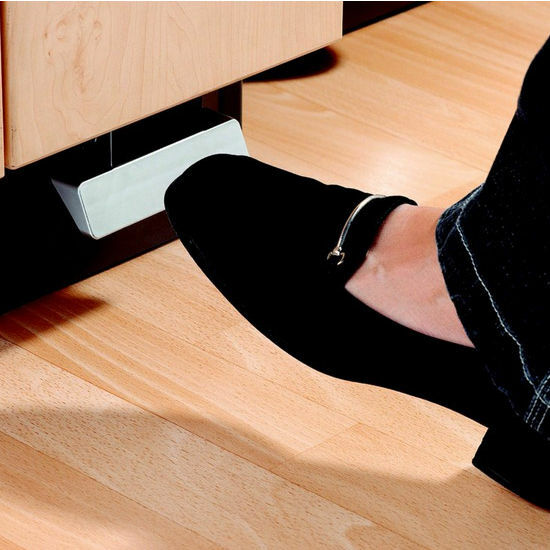 Optional hands-free foot opertaed door opener available. Minimum Inside Face Frame Clearance: 18"
Maximum Load Capacity: 120 lbs. The actual product was excellent. Durable, lloks great and works well. The only problem was the instructions. They are absolutely terrible. Minimum Inside Face Frame Clearance: 18". 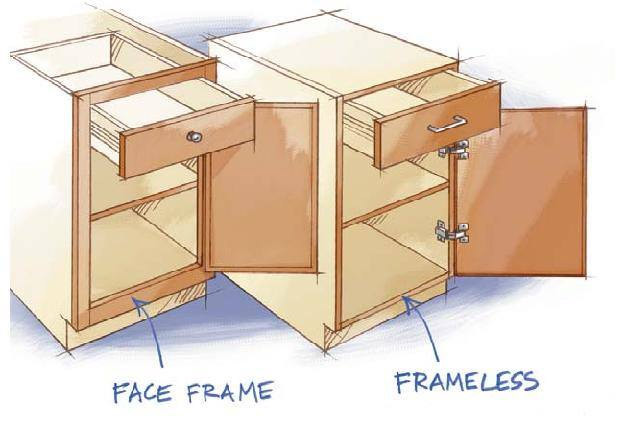 This would work for you as long as you have the 21" H inside the cabinet to house the frame. 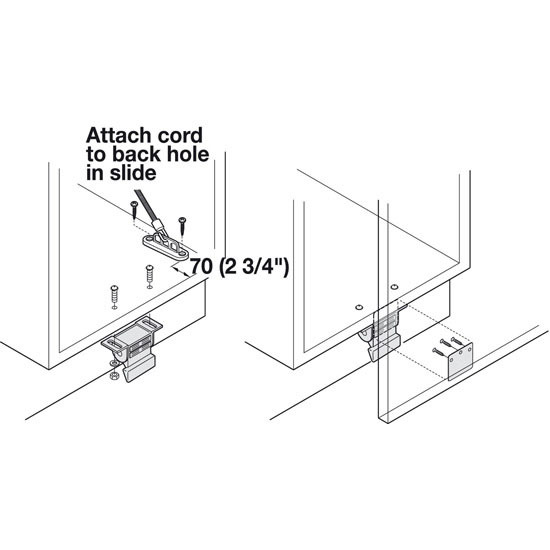 The foot pedal can be removed however, a �non� soft closing unit cannot be retrofitted to become a soft closing unit. It would require the purchase of a complete new unit. The slide members are not compatible with each other.